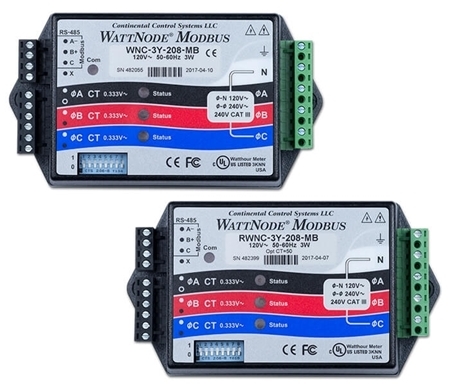 The WattNode Modbus is a kilowatt hour kWh energy and power meter that communicates on a EIA RS-485 network, measures 1, 2, or 3 phases with voltages from 120 to 600 volts Vac and currents from 5 to 6,000 amps in delta (phase to phase) and wye (phase to neutral) configurations. 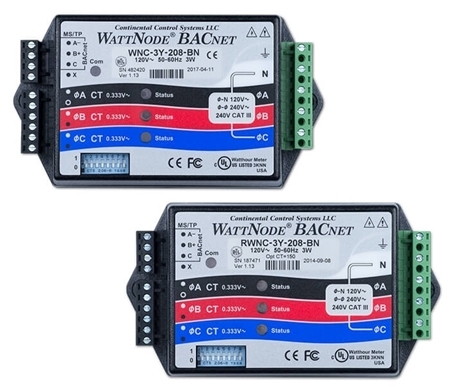 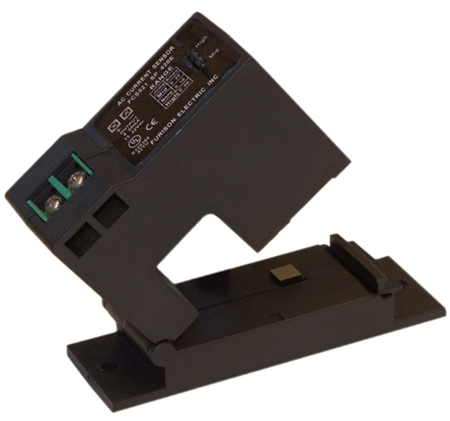 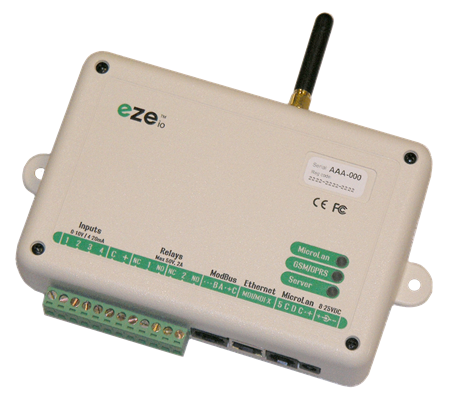 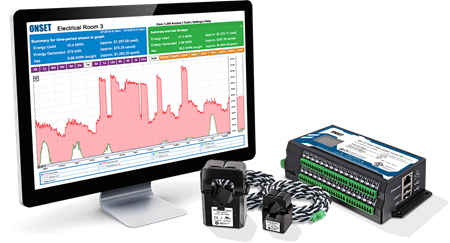 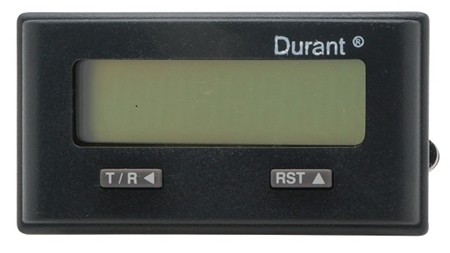 The WattNode BACnet (MS/TP) is a kilowatt hour kWh energy and power meter that communicates on a EIA RS-485 network, measures 1, 2, or 3 phases with voltages from 120 to 600 volts Vac and currents from 5 to 6,000 amps in delta (phase to phase) and wye (phase to neutral) configurations. 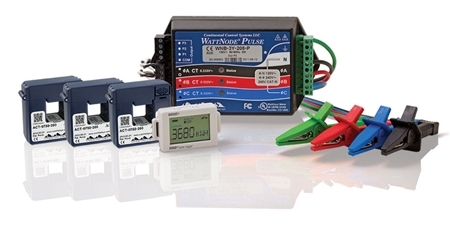 The WattNode Plus is a kilowatt hour kWh energy meter that communicates on a LonWorks network and measures 1, 2, or 3 phases with voltages from 120 to 600 Vac and 5 to 6,000 amps in delta (phase to phase) and wye (phase to neutral) configurations. 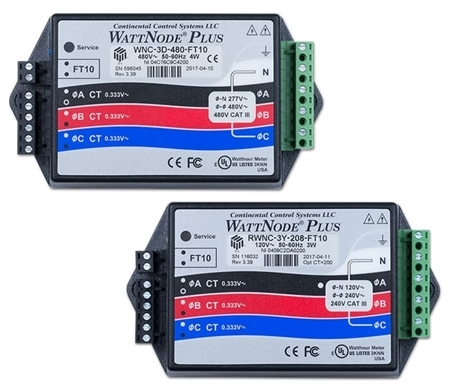 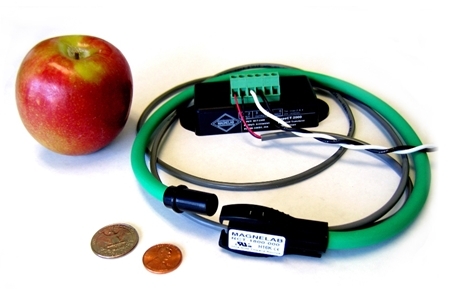 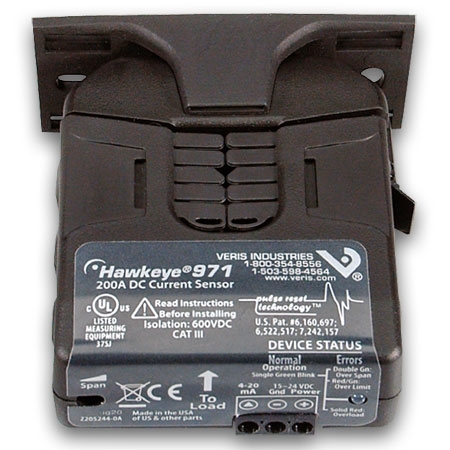 For built-in data logging, see the WattNode Logger for LonWorks. 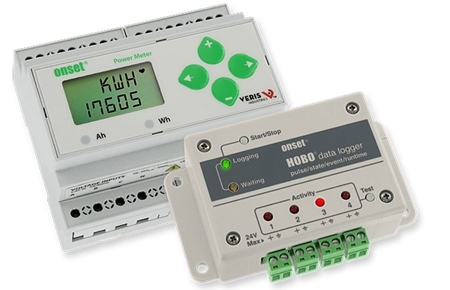 The WattNode Logger is a kilowatt hour (kWh) energy meter that communicates on a LonWorks network, and can log 24,000+ measurement records in non-volatile memory. 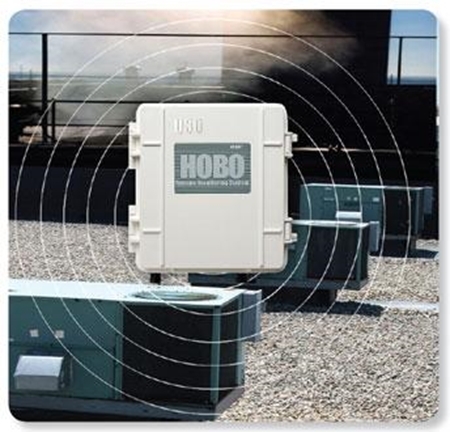 The WattNode Logger measures 1, 2, or 3 phases with voltages from 120 to 600 volts alternating current (Vac) and 5 to 6,000 amps in delta (phase to phase) and wye (phase to neutral) configurations. 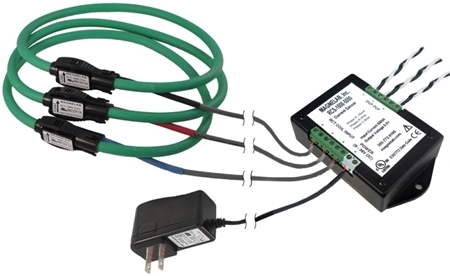 Magnelab flexible RopeCT® measures AC current up to 10,000 Amps. 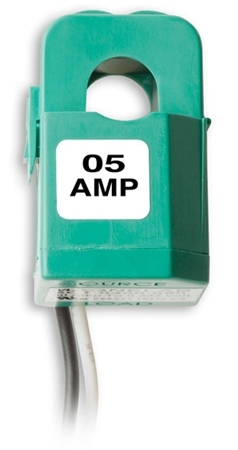 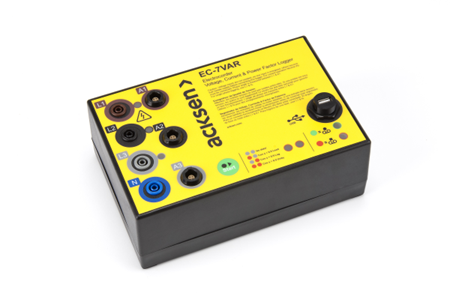 The coil opens at the connector junction and can be installed on an existing cable or buss-bar in a matter of seconds. 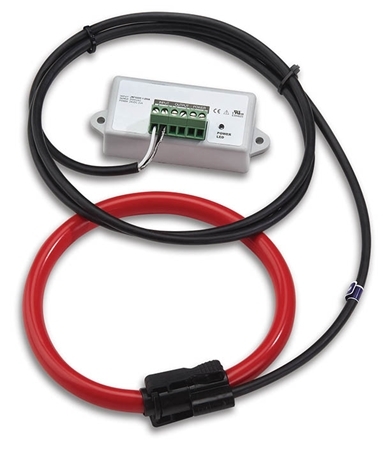 Magnelab Three-phase flexible RopeCT® Rogowski Coils measure AC current up to 10,000 Amps. 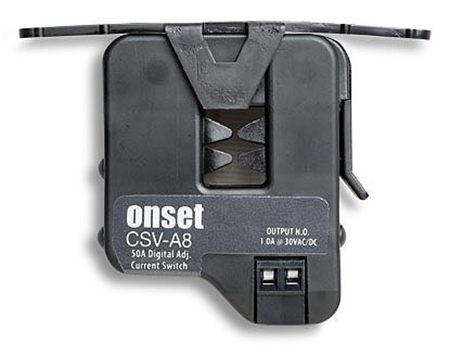 The coils open at the connector junction and can be installed on an existing cable or buss-bar in a matter of seconds. 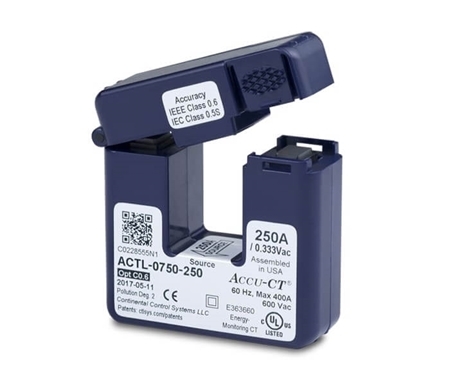 The INCCT Series Split Core Current Transmitters & Switch are a low cost alternative for measuring power and monitoring the operation of fans, pumps, and other equipment. The CTRC Rogowski coil current transformers are accurate, flexible, rope-like current sensors that can be connected around conductors.